Following the success of the Troy Studios Open Day on Oct 15th last, Limerick.ie in conjunction with Innovate Limerick have launched a new website hub for Film making in Limerick, highlighting areas such as locations, production and crewing for the region. 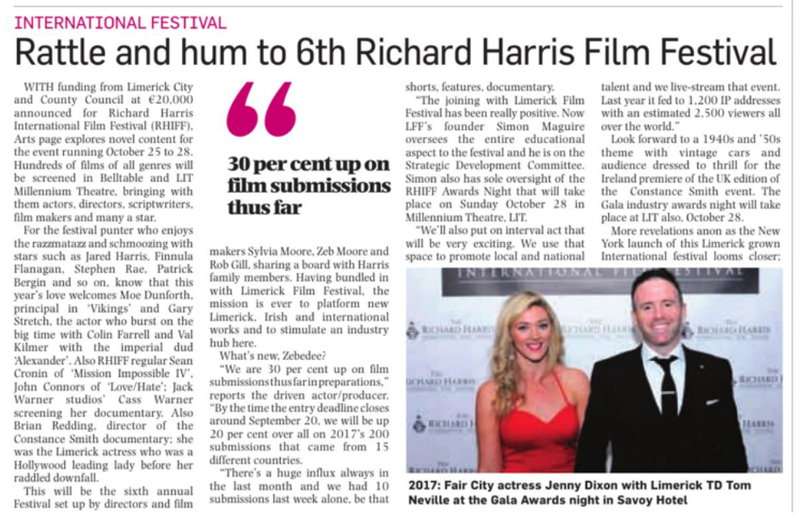 With information on film permits, tax benefits, accommodation and many other production questions, Film In Limerick will be a vital resource for film makers in the region. Film in Limerick invites you to add your locations, business or personal profile to our registry. Be seen and be found in the industry. If interested please click the image below. So the final of the Film limerick Trilogy; Date:Time, screened on RTE 2 last night and is now available on the RTE Player. This marks the end of the journey for me on these three films as editor. The goals of this project have been achieved and there is much to be proud of by all the cast and crew involved. The hope now is that the legacy will continue and not be dismissed. If the films encourage more film making in limerick then mission accomplished. I for one am looking forward to the next batch of films to be produced and hopefully we can expand the talent to meet the demands of Troy Studios and other ventures in the future. We were delighted to produce a short promotional video for Limerick.ie as part of the Limerick Insider Series on the website. The promo features Ruby McGuire in her debut acting appearance, as we are treated to the sites and magic of Christmas in Limerick through a child’s eyes. Myles Breen of the cast of Cinderella at the University Concert Hall. Tim Cusack, Damien Shaw and John Finn of Limerick Panto Society’s Beauty and the Beast at the Limetree Theatre. The Team at The Santa Experience. and of course to the star, Ruby. 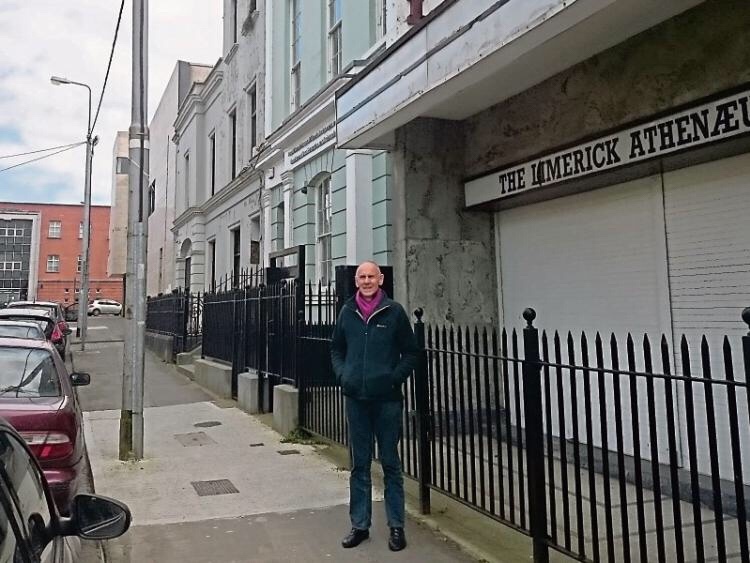 Series three of Limerick Insider has begun on Limerick.ie. This month we a have a special programme about the Great Southern Trail in County Limerick. Located between the towns of Rathkeale, Newcastle West and Abbyfeale this beautiful greenway is full of history, scenery and interesting sites for all the family. bringing you lots of great Limerick news and events! the enchanting and magical Lough Gur and the quirky Frank McCourt Museum. with a fun filled weekend of colourful events.